Compensation was provided by Pure Leaf via Mode Media. The opinions expressed herein are those of the author and are not indicative of the opinions or positions of Pure Leaf. Warmer temperatures and more sunshine make me smile as does thoughts of short sleeves and being outside with the family more. On these warmer days, there is nothing more refreshing than a nice tall glass of Iced Tea. What goes better with Iced Tea than some lemon either sliced or in a yummy cookie. Why not have both! You must make a batch of these Lemon Cookies with Ice Tea Drizzle that are sure to be a crowd pleaser. We had to fight off the family in order to take these photos. These make great bake sale cookies too. 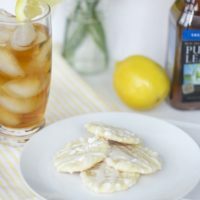 The kids love the flavor of an Arnold Palmer, half lemonade half Iced Tea, which inspired this cookie. 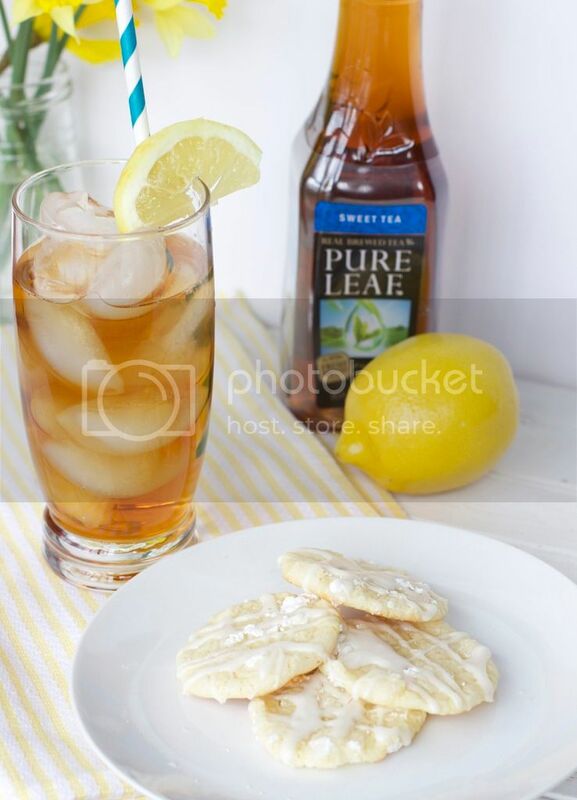 The cookie stands out with its intense lemon flavor that compliments the Pure Leaf Iced Tea. The lemon cookie recipe is simple and full of flavor, I definitely recommend making a double batch. In the morning before you plan on making these cookies be sure and take out your butter and eggs to reach room temperature and use real lemon, no bottled juice for these. You know these are going to be full of lemon flavor, I used an entire large lemon for the zest. I did not bother measuring but I am certain it was at least 1 tablespoon. Once the cookie batter is made, use a small ice cream scoop and dump your scoops one by one into a small bowl filled with confectionery sugar (powdered sugar) I just swirled the dough in the bowl and it maintained a ball shape. Place them on a cookie sheet, I always like lining my sheets with parchment paper for easy clean up. Allow them to cool on the cookie sheet for a few minutes before moving them to a cooling rack, they are a little fragile while warm. Allow them to cool completely. 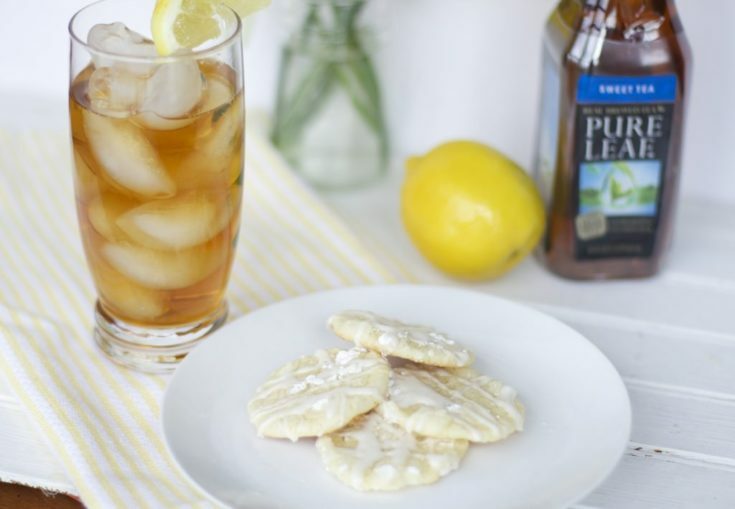 Create the Arnold Palmer drizzle by mixing your powdered sugar with the Pure Leaf Iced Tea. 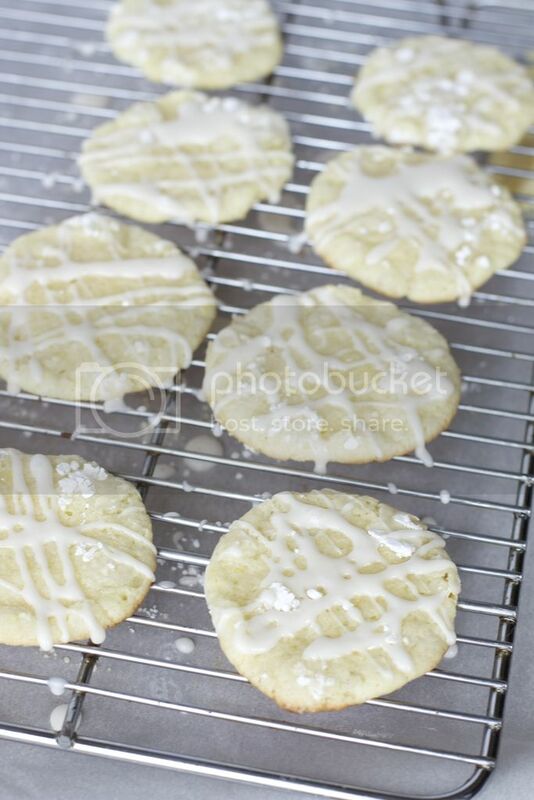 Then drizzle away, I find using the thongs of a fork create a nice drizzled look on the lemon cookies. Allow the drizzle to dry, if you can show willpower, before serving. 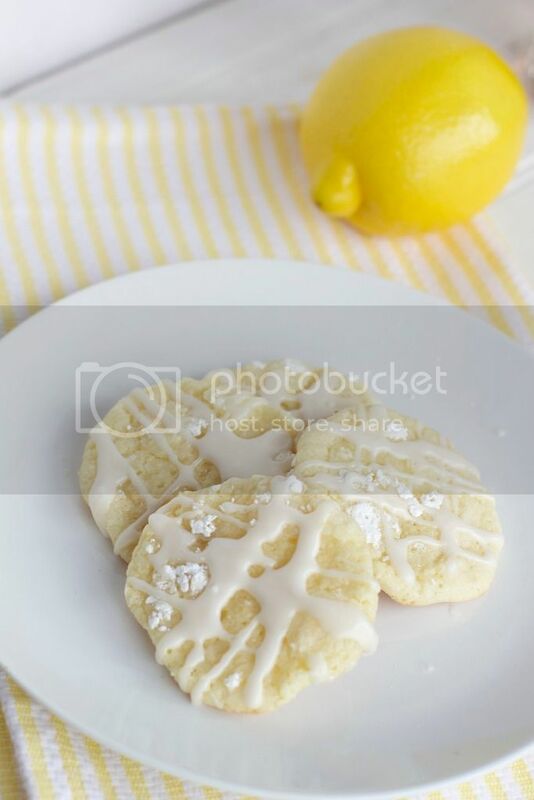 Be sure to serve these little lemon cookies as a delicacy along side a large glass of Pure Leaf Iced Tea with a side of lemon. Why not? I can’t always make Fresh Brewed Iced Tea myself, so I will pick up a jug or two of Pure Leaf. Pure Leaf is a premium iced tea brewed from real tea leaves picked at their freshest. For recipes, tea tips and daily inspiration, visit PureLeaf.com. 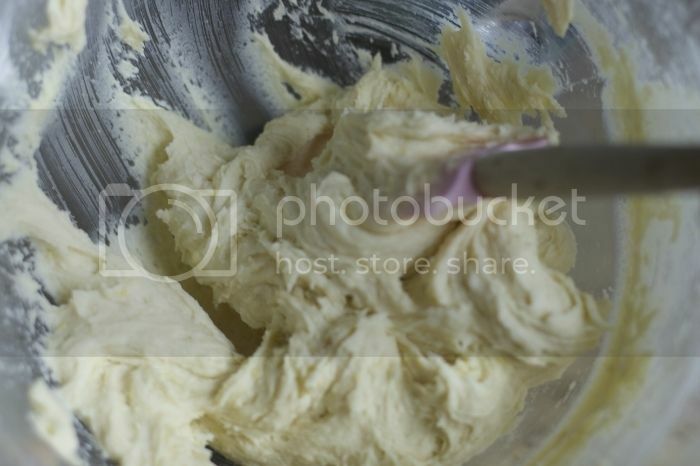 Preheat oven to 350 degrees F. In a large mixing bowl, cream butter and sugar. Beat in vanilla, egg, lemon zest, and lemon juice. Mix Dry ingredients together in a small bowl.. Slowly add flour mixture. Stir well to combine. Use a cookie scoop or roll dough in 1″ balls, then roll in powdered sugar. Place on lightly greased or parchment lined baking sheets. Bake at 350° for 9-11 minutes, or till set and crackly. Don’t allow the edges to brown or burn. After a couple minutes, remove to cooling racks to cool completely. 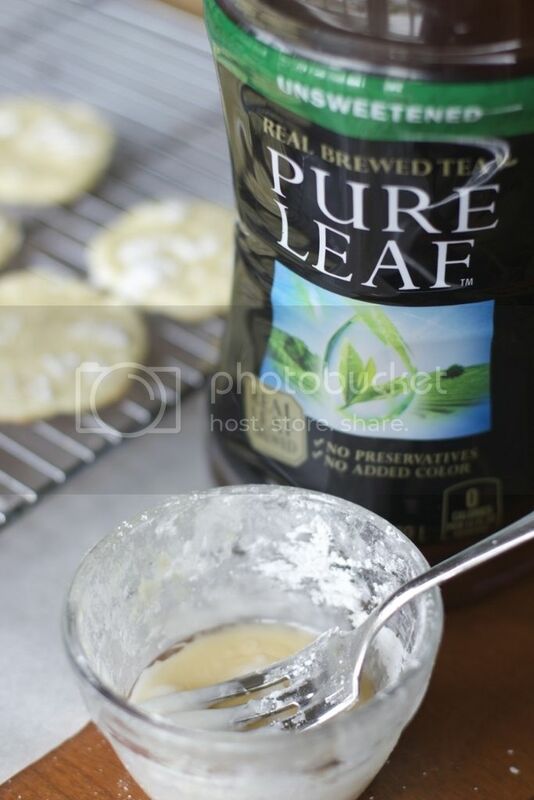 In a small bowl, combine Pure Leaf Iced Tea or water with powdered sugar until a thick consistency forms. Drizzle over cookies using a fork for patterned lines. What are your favorite summertime flavor combinations? What do you think of these lemon cookies? Being a Georgia girl, I LOVE Arnold Palmer’s! What a sweet, southern twist on a classic cookie. I absolutely love the photos you included in this post, as well. that sounds like a yummy glaze as well.. These look yummy! I’ll have to try making them sometime! These cookies sound amazing. I love Arnold Palmer’s so these are a no brainer for me. I need to try them asap! I sort of made them up, since the drink of lemonade and iced tea is called Arnold Palmer. These cookies look so good I could demolish them all in a minute flat! I LOVE Pure Leaf tea! 🙂 Its one of my favorites and I usually have them stocked in the fridge, especially during the hot hot hot summer days. Pinned cookies for later. Omgsh what a great idea! I’ve never heard of Arnold Palmer cookies, I bet they’d be a hit!